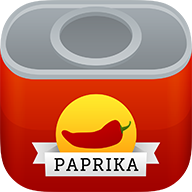 I have installed the trial version of Paprika Windows, how do I activate the full version? I receive this error message when launching the app: "There was an error initializing Paprika's browser." What versions of Windows are supported? I'm having trouble sending emails with my Gmail account. I receive a database initialization error on launch. Where is my recipe data stored? Can I sync between iOS/Mac/Android/Windows?